Canvas Painting How It Works? Uncork Your Creativity in a FUN Step by Step Canvas Painting Class – Don’t worry about not being able to draw a stick figure. We will guide you in painting your own masterpiece that you can be proud of and take home that evening. Bring your favorite beverage and snacks, relax and follow along! If you are looking for something fun and exciting in Charlotte County, Port Charlotte, or Punta Gorda for a Birthday Party, Bridal Shower, Team Building, or just a get together. Then call us to book a painting party. Any occasion is a great time to get together. You could enjoy your favorite snacks and drinks while painting. 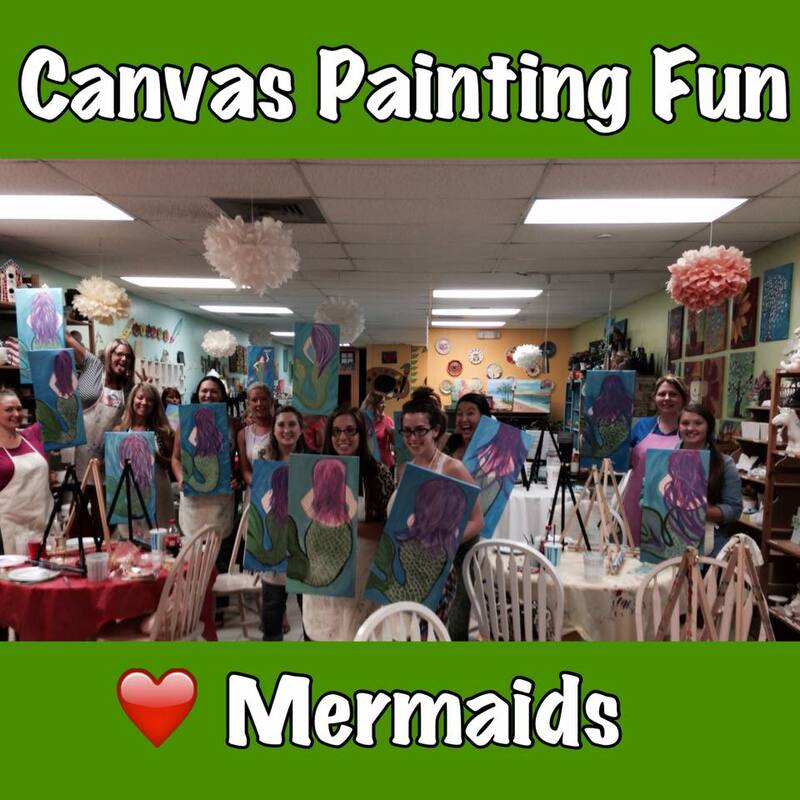 We have a Canvas Painting Class at our Studio in Port Charlotte Every Wednesday Evening at 6:30pm and Saturdays at 7pm. You Must Call Studio 624-5955 to Register & Prepay to reserve your space. Check out our calendar and choose a painting you like or a night you would like to attend. Invite your friends, family or come by yourself. Feel free to bring beverages and snacks! Cost $30,+tax per painter~ Includes all materials.